The floors in your home or office finish the look and feel of that space, adding style along with practicality. Flooring is a very important part of a home or office as it is an aspect that is used and seen every day. 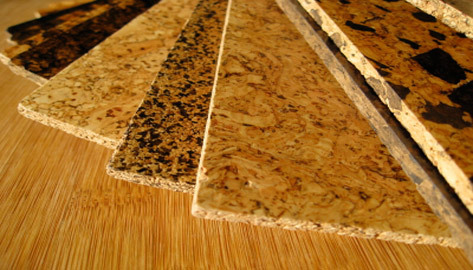 Materials such as wood, ceramic tiles, stone, and vinyl are commonly used for flooring. Factors such as cost, durability, and maintenance may affect your choice of flooring. Preferences in the look and feel of a floor also play a role in deciding on what flooring material to use. If you have chosen to go with a wooden floor, you will encounter the choice between hardwood and softwood. The difference between them is a botanical specification. Hardwood floors are typically made of wide-leaf trees, such as oak trees, and other deciduous trees. These trees produce seeds that are enclosed or in a fruit. Softwood floors are made of coniferous trees, or evergreens. These trees produce pollen on the outside of cones, that are later dropped to the ground. However, hardwoods are not necessarily harder than softwoods. Low density hardwood such as balsa is softer than many softwoods. In general, most hardwoods are more durable than softwoods, and that makes them a more common choice for flooring. Because floors are constant victims to falling objects, people walking, and various spills, it is important to have a sturdy floor that will not show scratches and other signs of wear as easily. Prefinished wood refers to wood that is dyed and coated with polyurethane in a factory and arrives ready to be installed. Prefinished wood saves the buyer time, as they will not have to sand the wood and then coat it with finish themselves. However, site-finished wood can add a unique touch to your floors as you will have more control over the outcome of your floors. Site-finished wood is also said to have a more “flawless” appearance, as all the wood is coated after it has been installed, and so there are no gaps or separations between the boards. Although it is more time consuming, and often more costly, some prefer the look of site-finished floors to prefinished. This is a personal preference, and factors to consider are cost, installation time, and appearance. Engineered flooring is made of layers of plie wood that are glued together, between three to ten layers thick. As the temperature and humidity changes, solid wood can shrink and expand, causing cracks in the wood. However, engineered flooring has greater stability, and so there are less concerns of it being damaged due to shrinking and expanding. This makes engineered floors great for basement settings, which are usually damp environments.